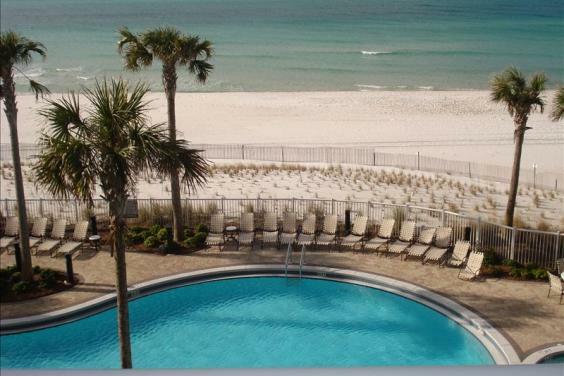 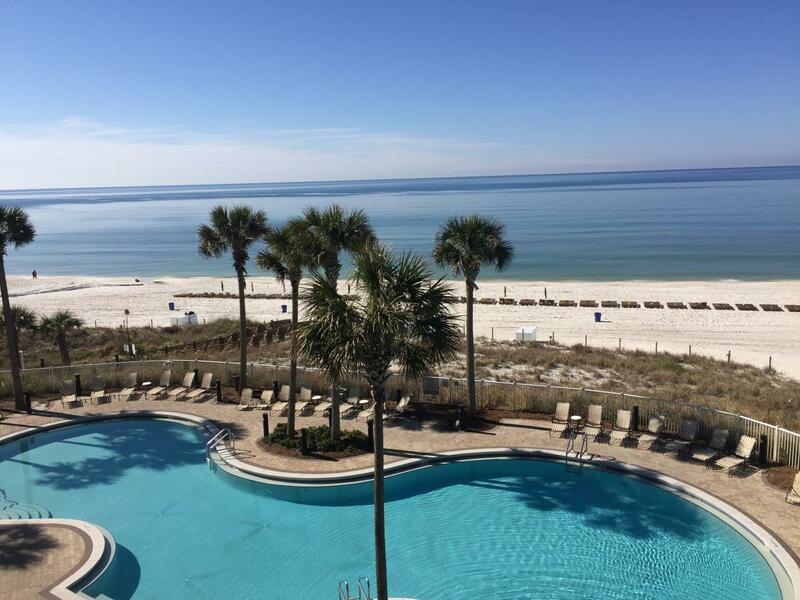 Welcome to the Grand Panama Beach Resort! 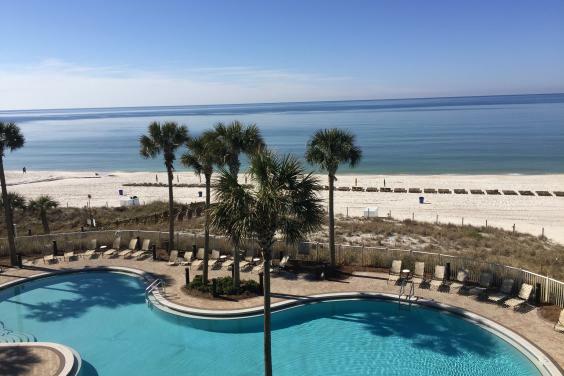 This resort is one of the newest resorts on the beach and lives up to its name 'GRAND'! 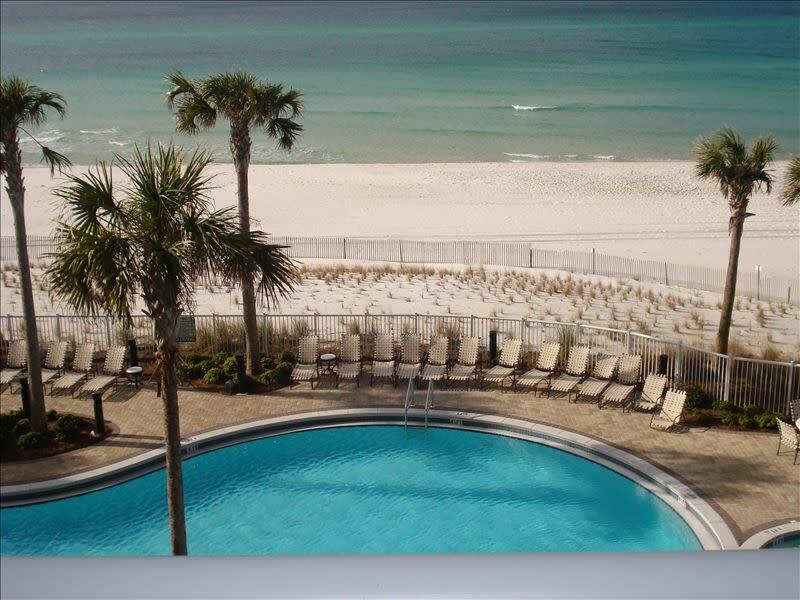 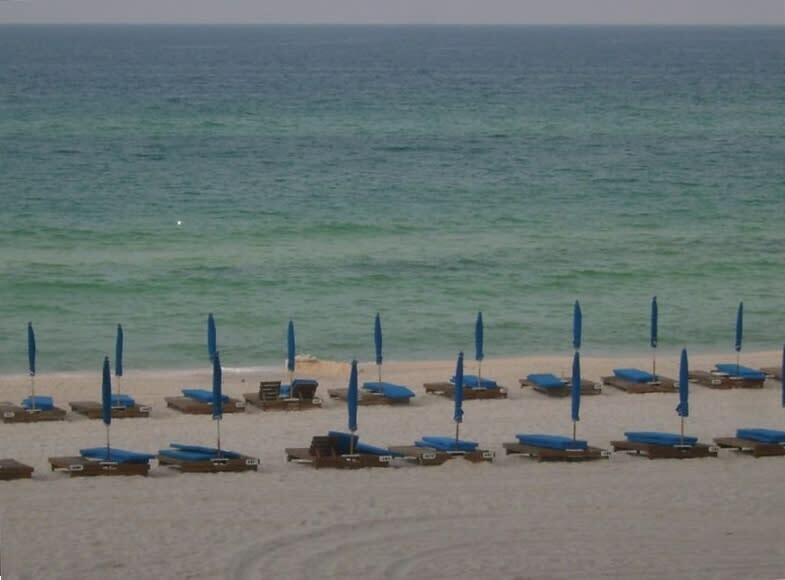 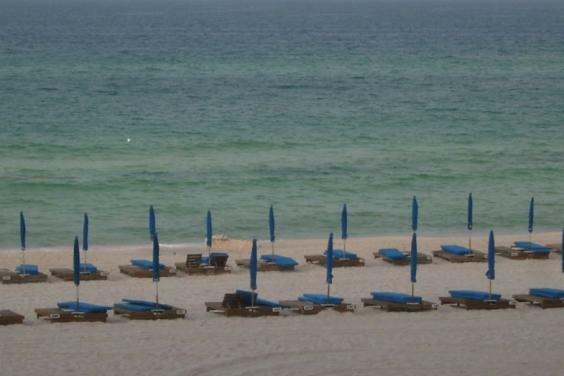 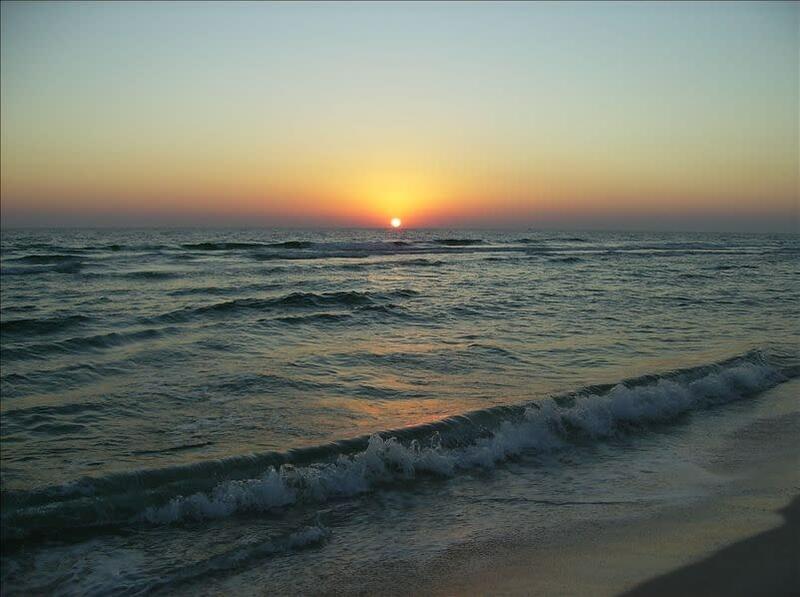 The emerald waters and sugary white sands of Panama City Beach await you. 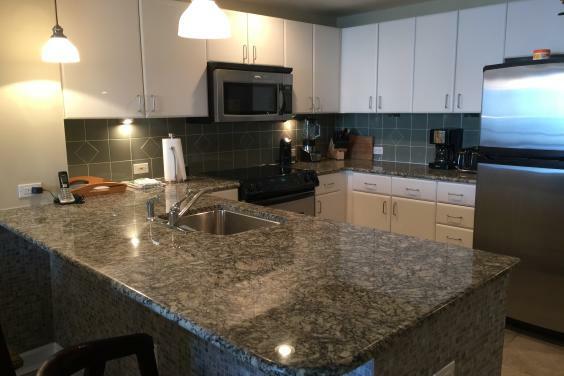 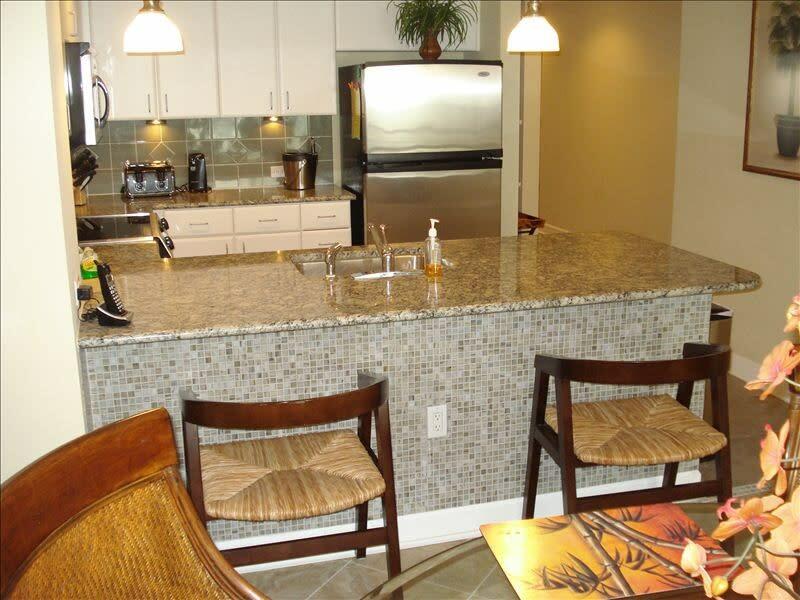 Come on up to the 4th floor where you will find a professionally decorated condo providing luxurious accommodations for your stay. 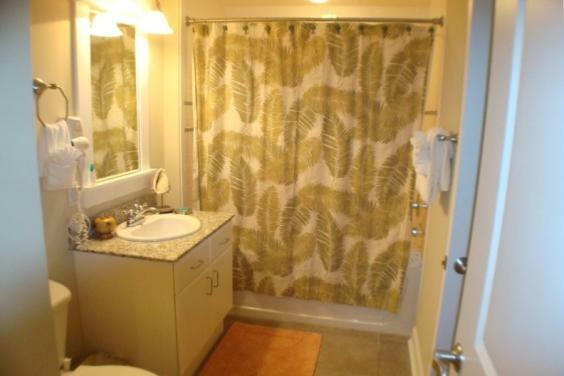 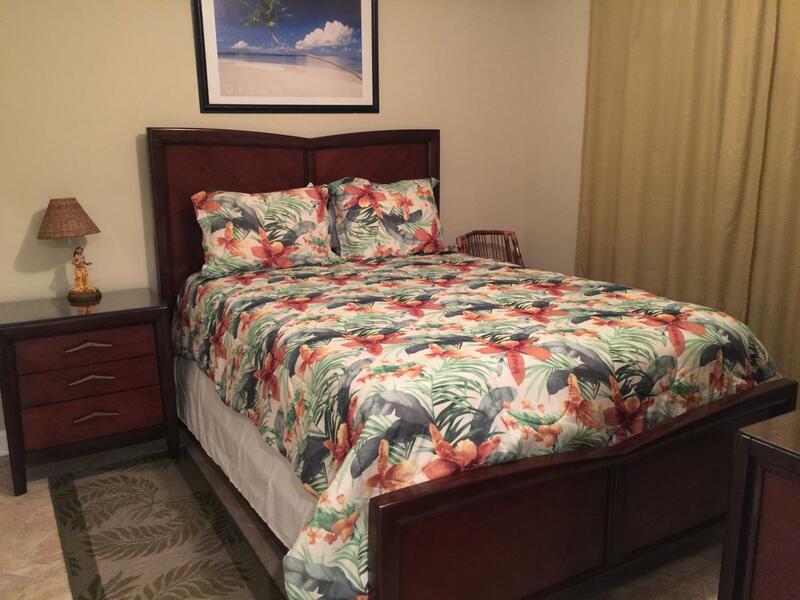 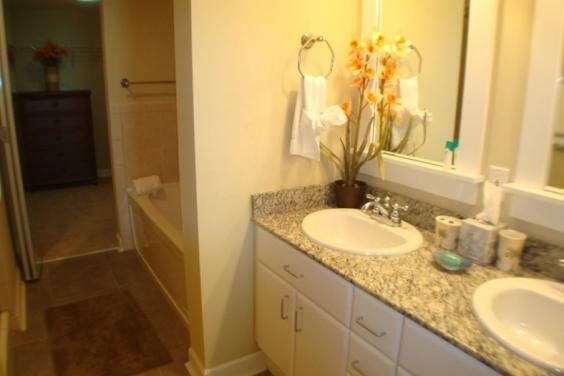 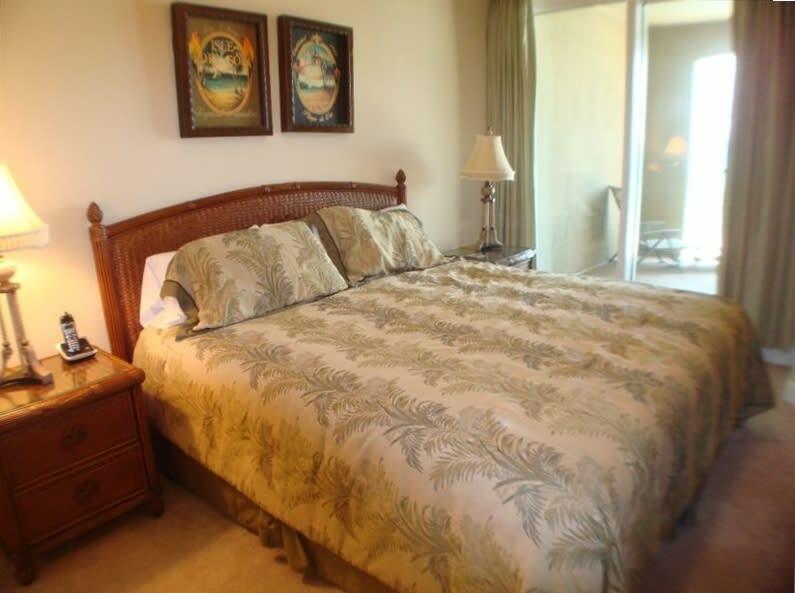 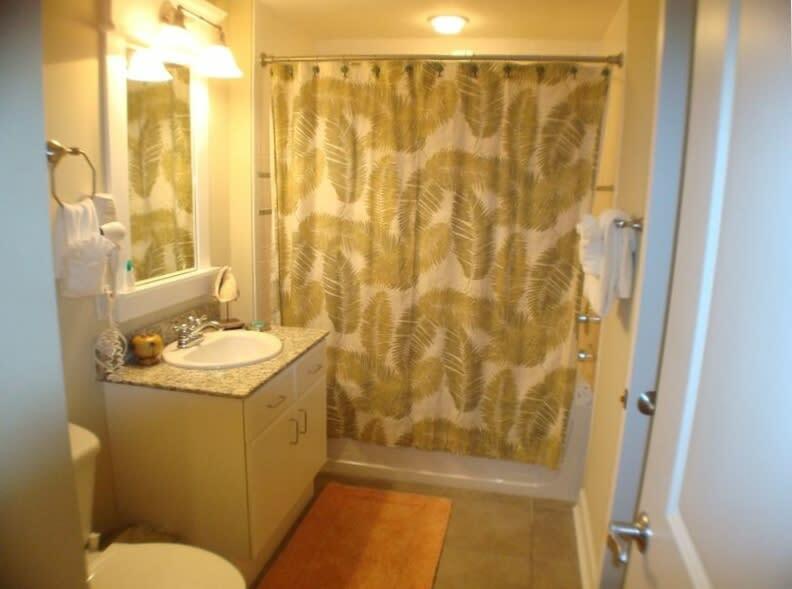 The master bedroom has a king size bed, huge walk in closet, large bathroom with double sinks and granite countertops. 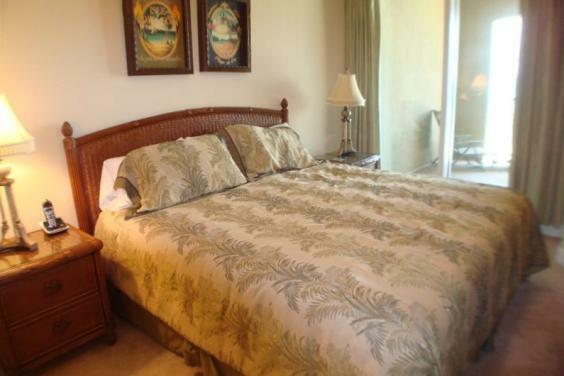 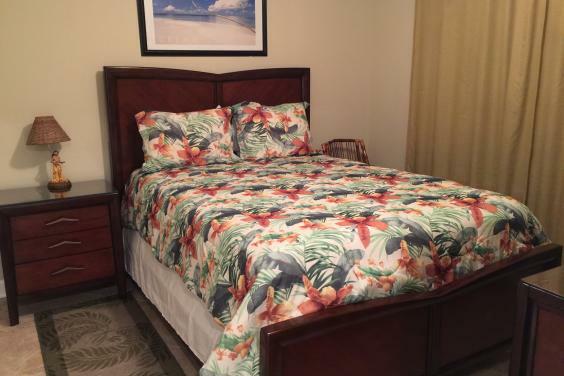 The guest room has a queen bed and a private access to the guest bathroom. 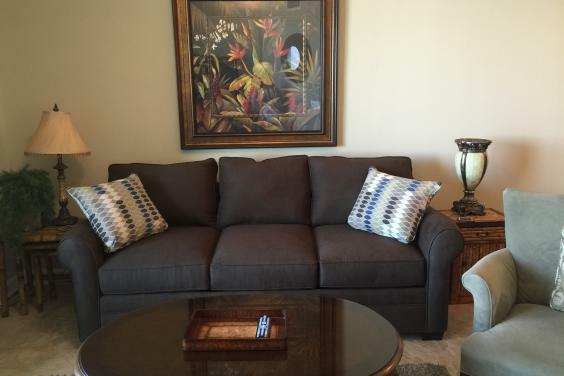 Your guests will enjoy the queen sleeper sofa providing sleeping arrangements for 6 guests. 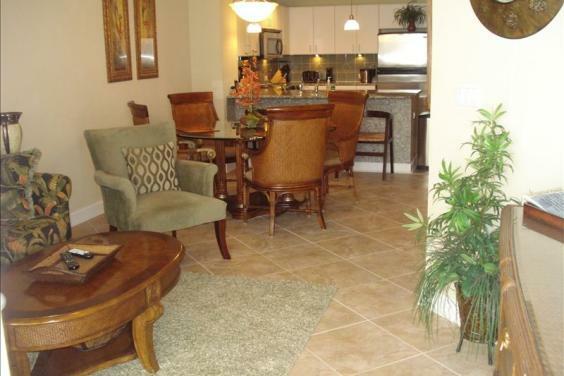 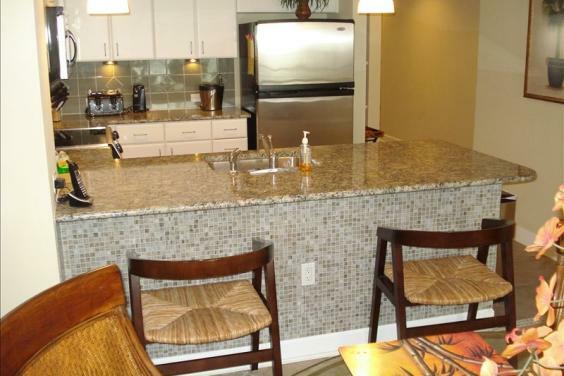 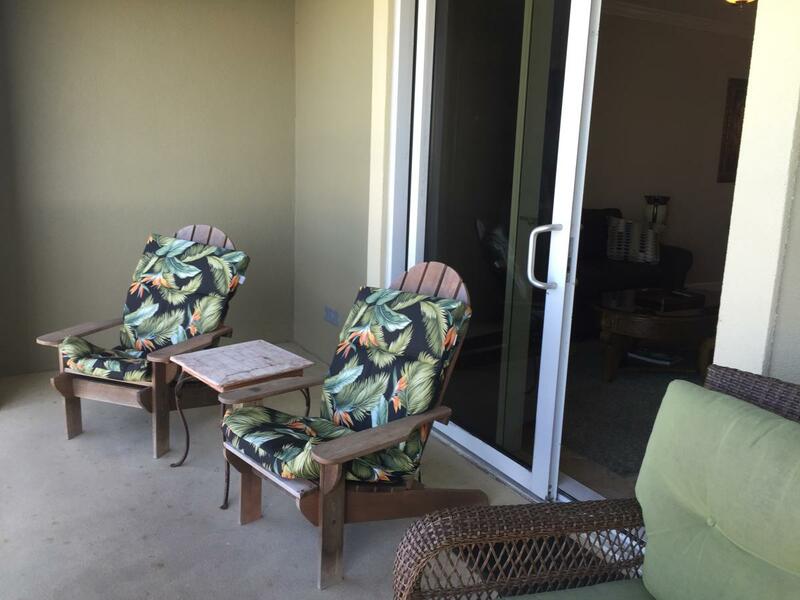 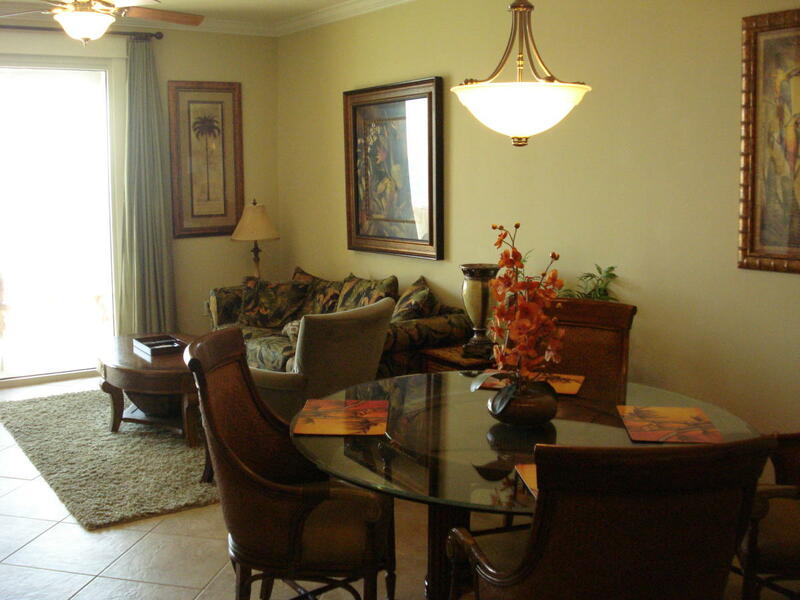 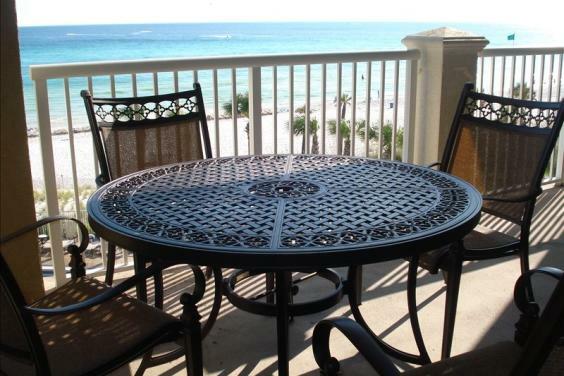 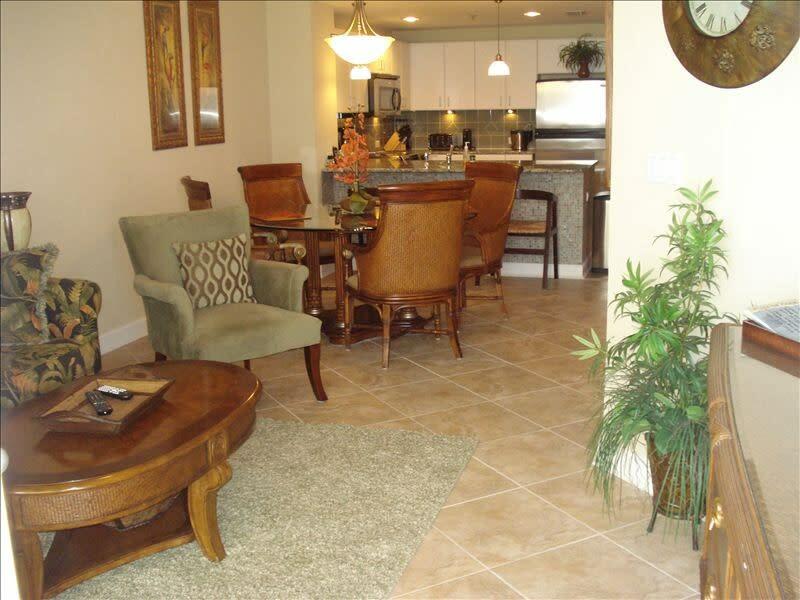 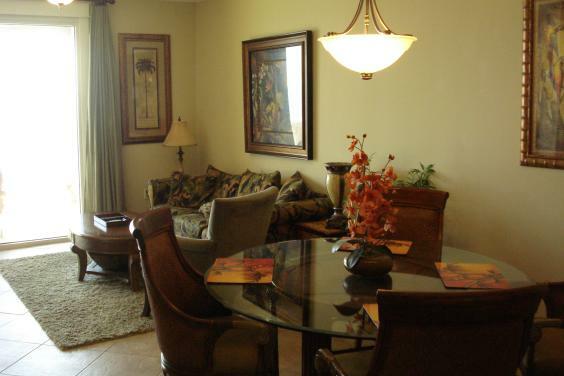 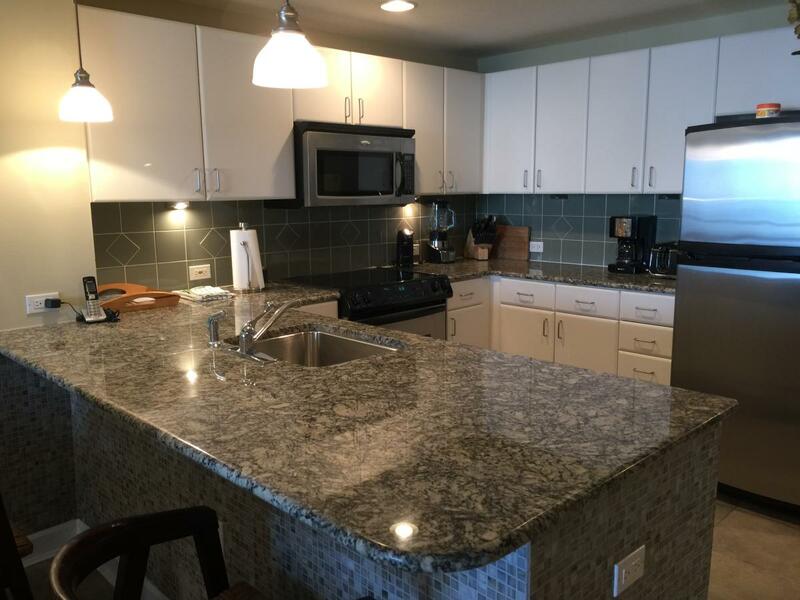 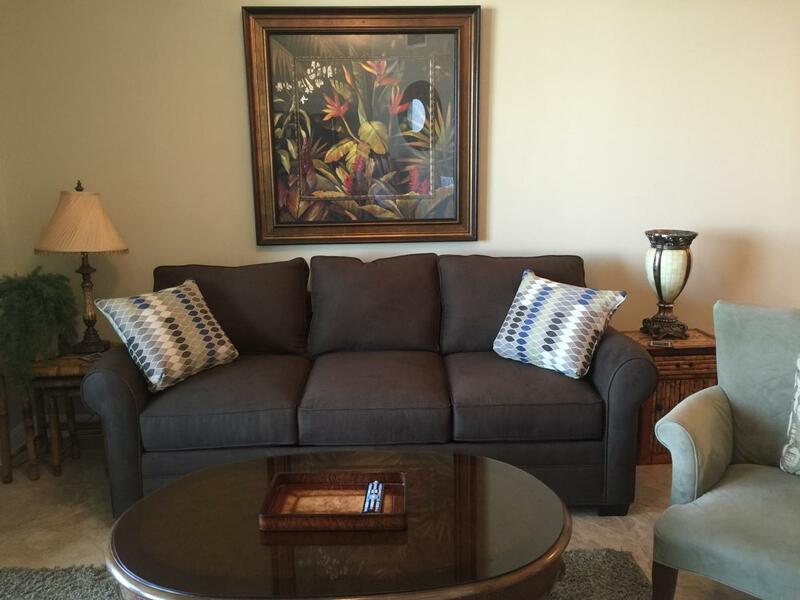 Relax in your spacious living room or enjoy your furnished gulf front balcony. 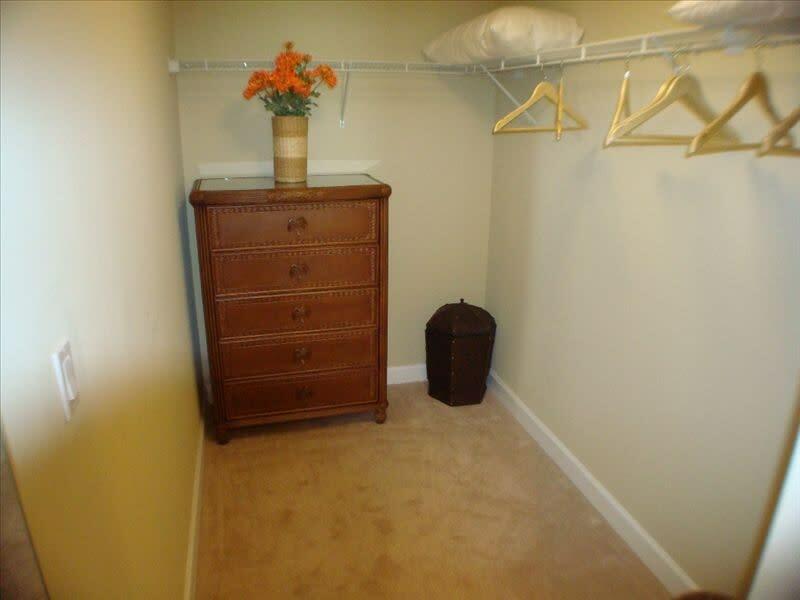 If you want to stay in, you will find all the amenities of home! 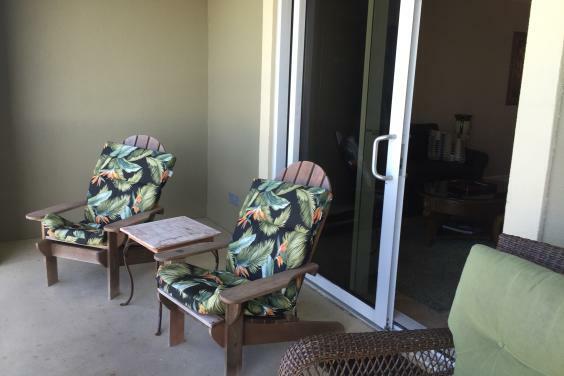 This first class resort has 2 pools with hot tubs, two tiki bars and a state of the art fitness center. 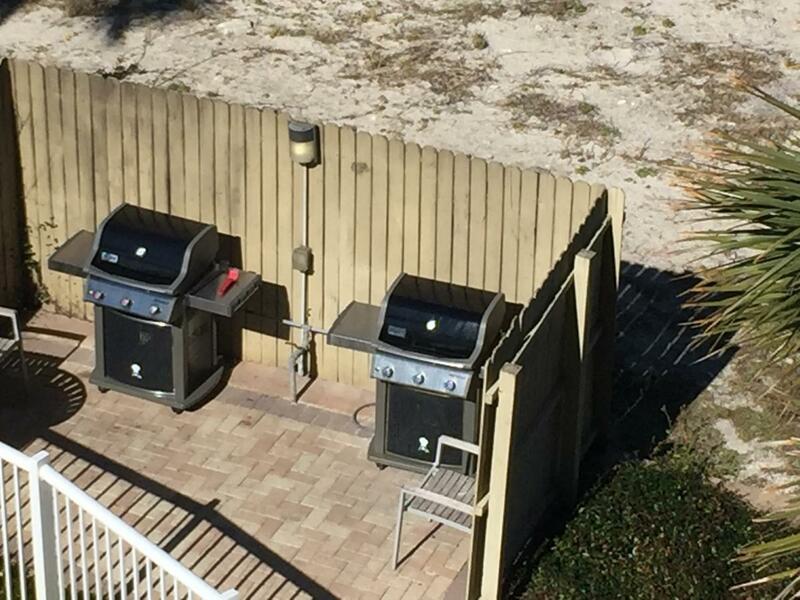 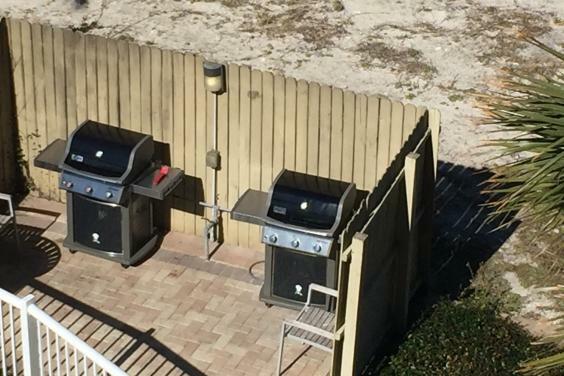 There are also designated picnic areas with outdoor grills. 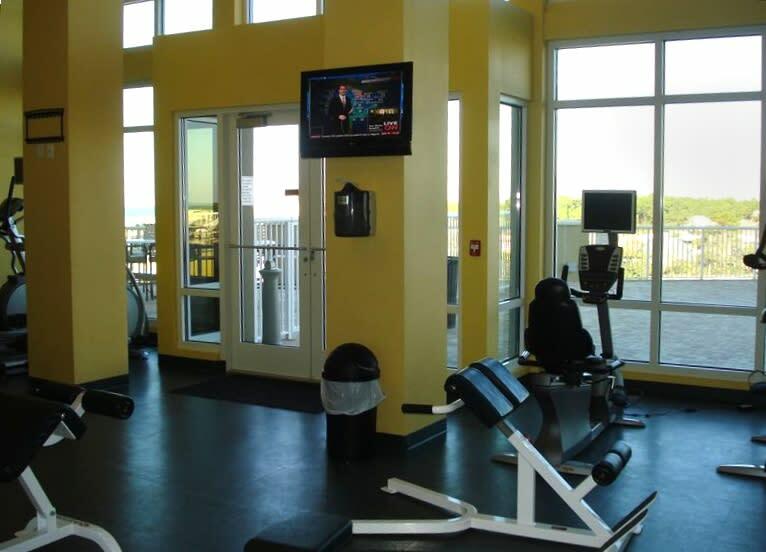 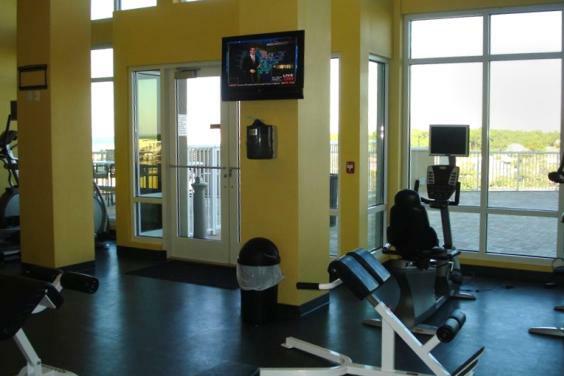 There are many activities within walking distance of the resort. 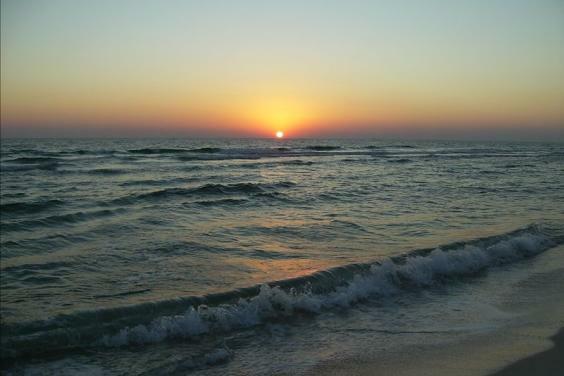 Enjoy a swim with the dolphins at Gulf World or the slides at Shipwreck Island Waterpark. 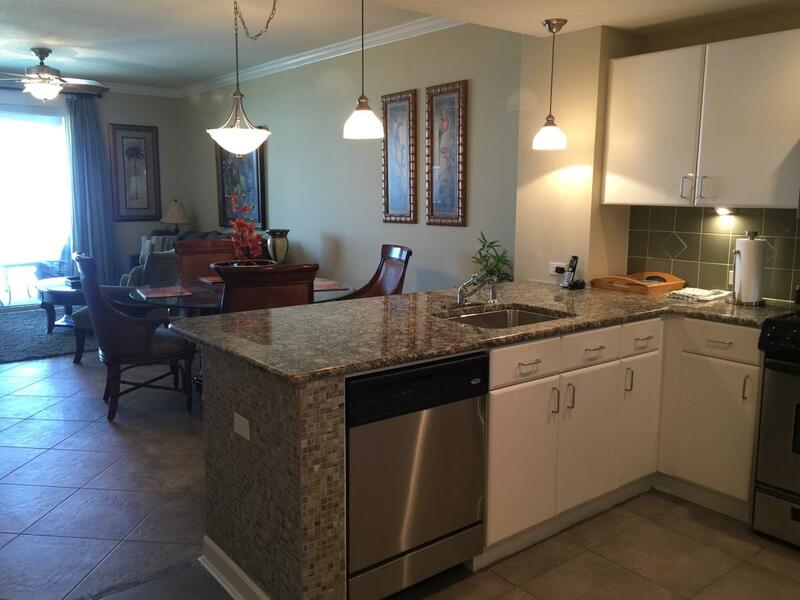 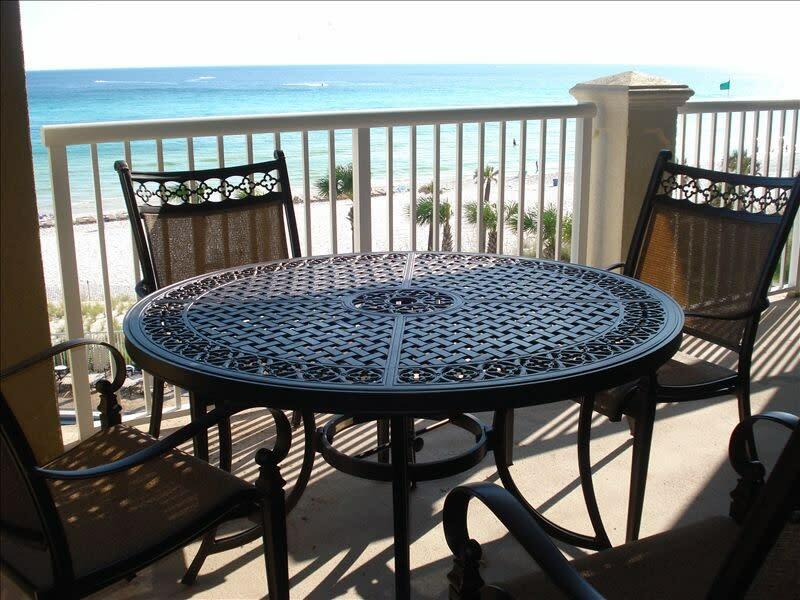 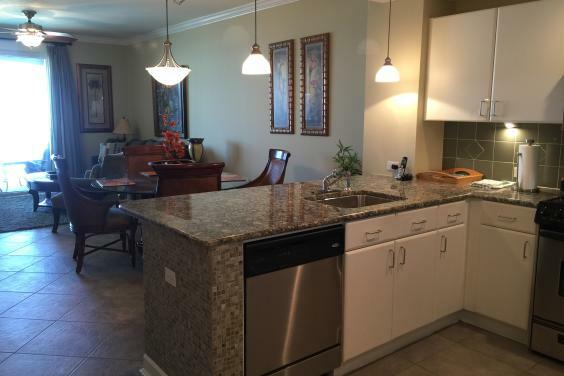 Enjoy a walk to the Village of Grand Panama with plenty of shopping and great restaurants.